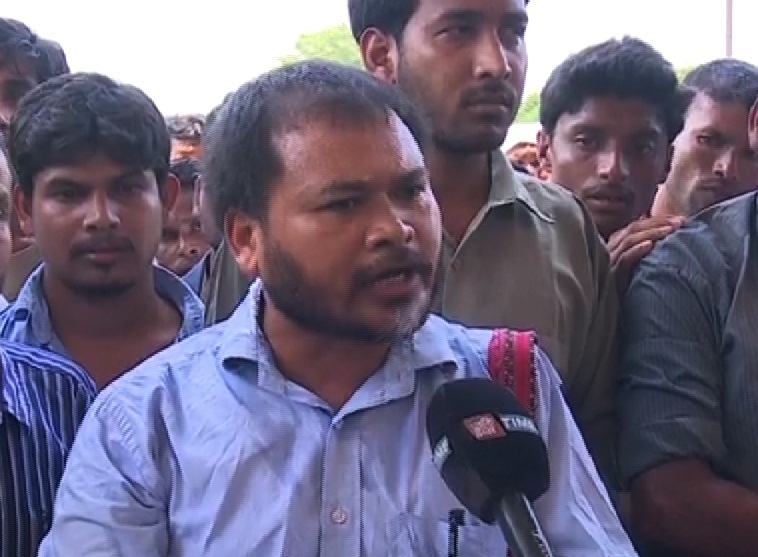 Krishak Mukti Sangram Samiti (KMSS) chief Akhil Gogoi was on Sunday sent to two-day judicial custody. Peasants’ leader Gogoi, who was re-arrested by Dudhnoi police immediately after his release from Dibrugarh jail, was produced in Chief Judicial Magistrate (CJM)’s court at Golapara on Sunday. The police had requested 14-day remand but it was turned down by the court and sent to two-day judicial custody, sources said. He will be produced in the court on Wednesday again. Gogoi was brought to Dudhnoi police station on Saturday from Dibrugarh after arresting him in a case registered at Dudhnoi police station relating to the defacement of a college at Dudhnoi town. The peasant leader was lodged in Dibrugarh jail since his arrest on charges of sedition on September 18. Akhi was arrested by Dudhnoi police a day after he got bail in the Moran case and two days after Gauhati High Court quashed his detention under the National Security Act (NSA). A case (No. 112/17) had been registered against Akhil at Dudhnoi PS under Sections 143/447/427 of the IPC. He has been charged with criminal conspiracy under Section 120 B of the Indian Penal Code and the Prevention of Damage to Public Property Act, said a police official. Meanwhile, KMSS supporters staged massive protest against the Government for arresting Gogoi in an old case. A senior lawyer said Gogoi likely to get bail in the Case registered at Dudhnoi police station.